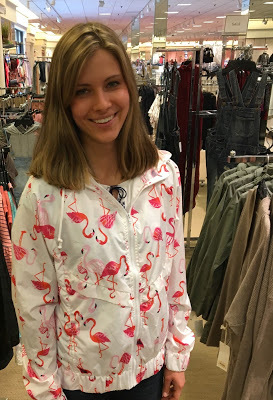 Speaking of shopping (see Monday’s post) I came across some entertaining photos on my phone and thought I would share them.Shortly before my birthday, we met up with my mom, brother, and sister-in-law to go clothing shopping. It was initially just going to be the girls, but we convinced Mr. Handsome and my brother to join us. We were all expecting there to be a lot more spring-colored clothing to choose from, but oddly enough, most of the stuff out there looked more wintry. Still, we were able to find a few items. My mother, brother, and sister-in-law bought me two tops and a cotton sundress for my birthday. We had a blast browsing through various stores at the mall. Mr. Handsome and I found these one-of-a-kind jackets and decided they would make a good photo opportunity. They aren’t our style, but I think in the right setting, they could work. Previous Post: « Are You a Shopaholic? What is "the right setting" for that pineapple jacket? A party in Margaritaville? A Rupert Holmes concert? The "SpongeBob SquarePants" Broadway show? Formal Day at the Dole cannery? 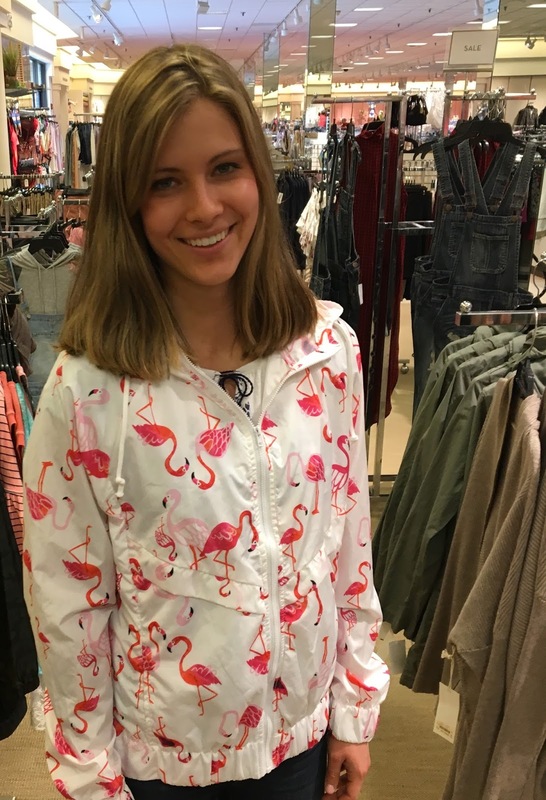 The flamingo jacket isn't that bad. I'd love to attend one of your parties! You sound like a fun-loving, creative person! That top jacket would be perfect for a Hawaiian wedding. Just add Don Ho and some tiny bubbles. 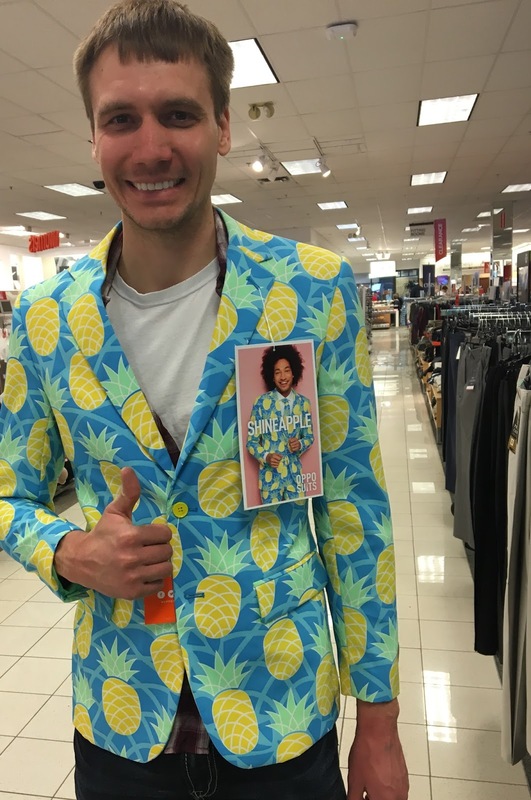 I teach at a suburban St. Louis high school and one of my students actually wore the WHOLE pineapple suit to Prom last weekend. He's the kind of kid that can pull it off and luckily his date thought it was funny. The pineapple jacket is from a line of clothing called Opposuits. You should look them up. They have some amazing suits for both men & women. The pineapple suit would have be good when you were in hawaii.